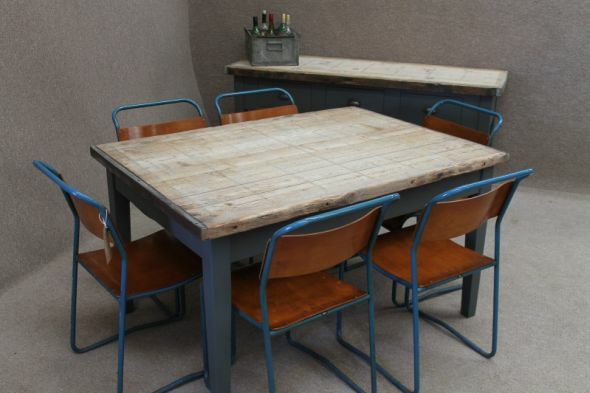 An industrial dining table with a difference. 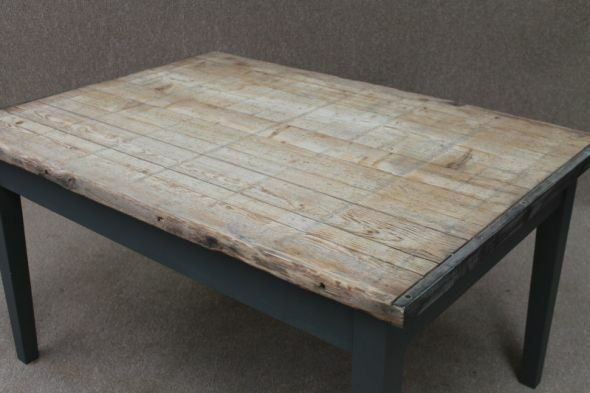 The top of this table is a reclaimed ice board, the natural bleached weathered finish blends beautifully with the painted base. 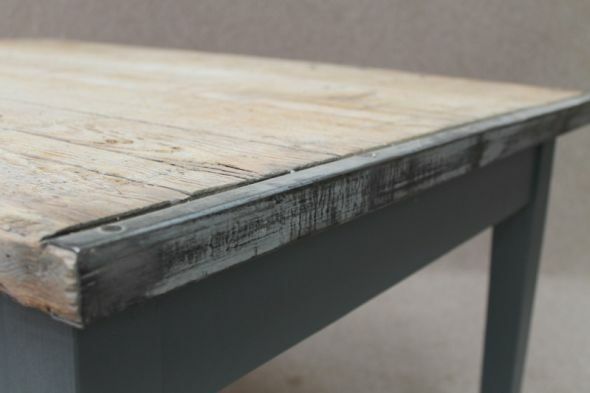 Each top is 2” thick and finished with original galvanized edge strips. 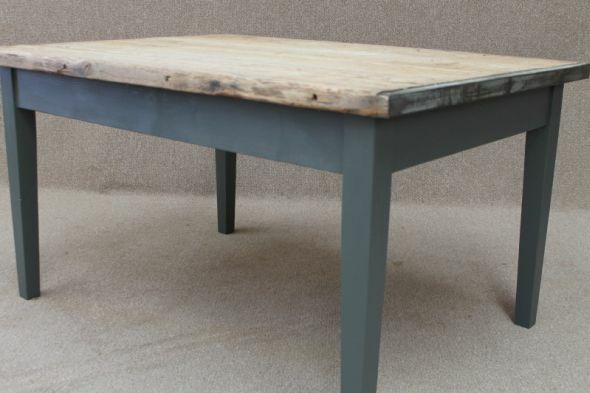 The base of this industrial dining table is made of pine and can be painted in any ‘Farrow & Ball’ colour to match your interior. 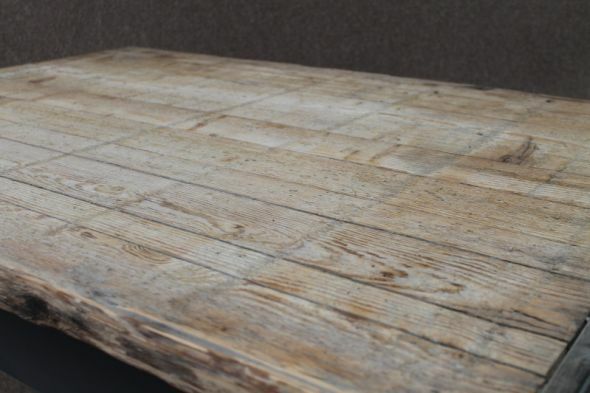 As the boards are reclaimed the size below is the only size available. 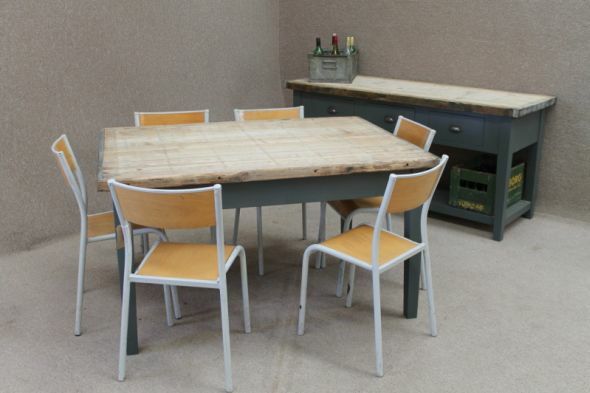 We do have a matching industrial sideboard which teams wonderfully with this table (this can be seen in some of the photographs). 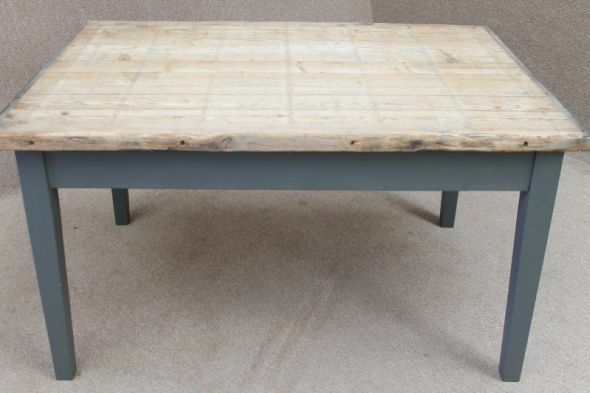 A wonderful rustic table with a totally original top. 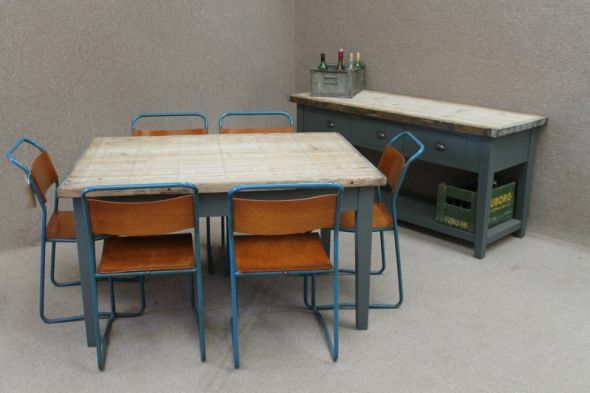 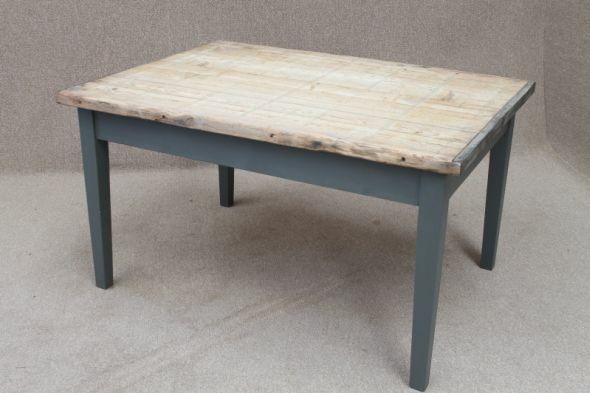 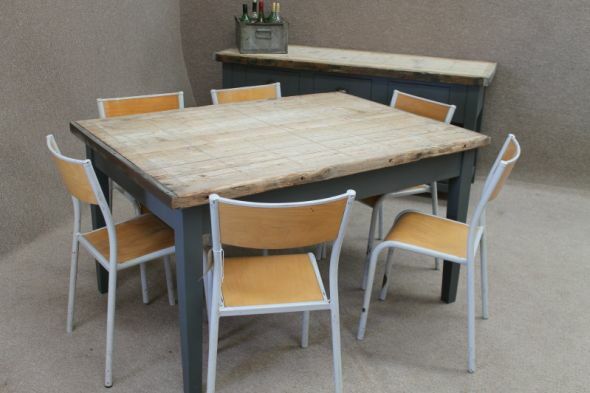 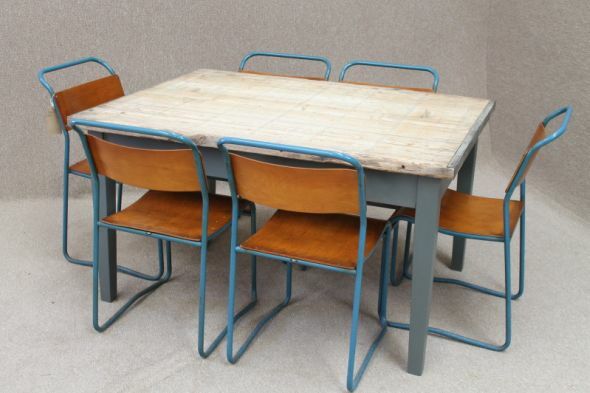 Today the vintage or industrial style is very popular and this table offers practicality with style. 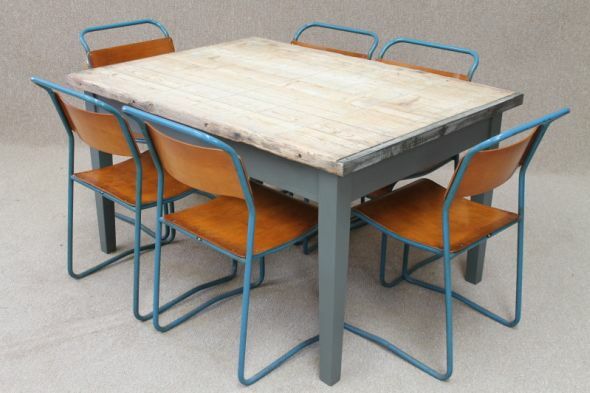 Our staff are always available to answer any questions you may have regarding this industrial dining table or any of our products, do not hesitate to contact them on 01543 375872. 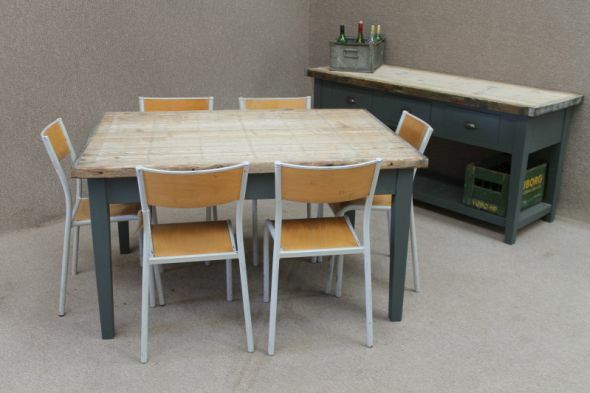 Please note the chairs pictured with the table are available to purchase separately.